In the modern age, most people have two separate lives. They have a working life, where they try to act in a way, that other people recognize as useful and therefore get rewarded for this form of behavior. They also have a private life where their own interests are paramount. 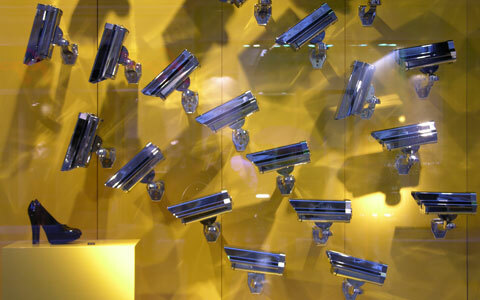 In the working environment, we have accepted to be monitored and controlled. In return, and as compensation for a world in which our own interests are of no importance, the private life should be free and self-determined, and should therefore take place invisible behind closed doors. If something does not belong to the public, but to individuals or groups, who are in an intimate relationship, and they have the freedom to determine unnoticed objects, areas and issues, then we called this once as "private". This freedom was granted because of the idea, that human beings can be controlled by ideologies and corresponding propaganda activities. In an ideal mass society, industry and consumption should develop in harmony. Over time, people have developed a resistance against propaganda and advertising. However, without fear of drastic restrictions many people develop a life of their own that defies control. The self life of others scares. The idea that we are constantly under threat of criminal acts has become generally established. We feel threatened mainly by people who know how to hide their intentions. Only a permanent and comprehensive control of all suspicious facts would prevent us from danger. We would rather forgo any freedom than to live with the risk of becoming victims of crime. 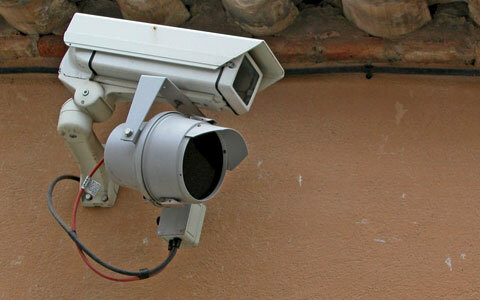 More and more areas of our urban environments are equipped with technological tools that are able to observe us. These digital eyes, ears, and motion sensors are linked via networks with data centers, which strive to analyze our behavior to draw conclusions. In the past images had to be monitored and evaluated by people. Meanwhile, software has taken this work. It plays a minor role if we are truly understood: We will have to care if we are getting classified as desired. Whosoever draws conclusions, evaluations and judgments, has an impact on the real world. We are no longer the individuals that try to understand the world. Our bodies are under observation. We transform ourselves into a machine-readable surface. So that the world responds in the way we hope, we will have to bring our behaviors in harmony with the algorithms of software-tools. To be not misclassified, we are going to live our lives in a more and more expressive form. Stop watching us? No – I am seen, therefore I am. As social beings we live by and through the perception of others. In a world of industrial production by robots man as machines loses more and more importance. We are no longer working bees, but individuals that experience themselves in an increasing competition to each other. We therefore have to present our character and our skills. Successful are those who sell their advantages in an impressive form. Recognition and attention seems to be more important to us than our privacy. When we fail to rise from insignificance, we are condemned to invisibility and so considered as "self-inflicted" outcasts. The responsibility lies with us, but we don’t have the freedom to vote those rules by which runs the world as a ever present casting show. Who is not observed, lives on the edge of society. Who has lots of followers and likes in the digital world is an attention capitalist and rich in a modern sense. The new poverty means that nobody cares about you, that no one wants to share your data. Digital poverty is transformed successively into real poverty. 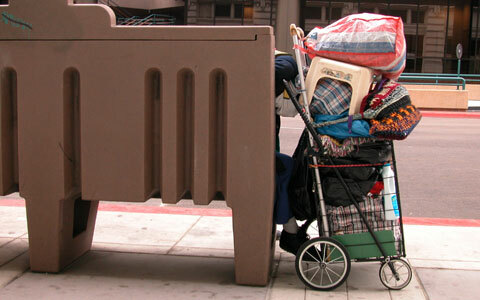 In most parts of Europe homelessness has increased recently. The profile of the homeless population has changed - even young people and children, disadvantaged minorities, women and families are increasingly at risk of homelessness. By the separation of work and private existence, the social responsibility is getting more and more privatized. Everyone has his own fortune. Social concerns interfere profit maximization. Despite all the monitoring systems we developed a specific blindness. We can not and do not want to see the misery in this world. The more public space is replaced by temples of consumerism, we are no longer faced with marginalized groups. We remain among us, separated into individual income levels and Lifestyle Groups. To retain a sense of freedom, we already show a tendency to become blind by reducing perception to digital image windows. Whenever we use digital networks today we open a window through which our activities can be monitored very closely. We have again created a second life. Here we live not a private, rather a public but virtual life. The virtual world wants to be fed with bits and pieces of information and appetizers from the so-called real world. The need for impressive scenarios therefore increases. And who has no secrets, has nothing to disclose. The screen shields everything that does not fit into its grid. Markets gets stimulated by the transformation from products into waste. 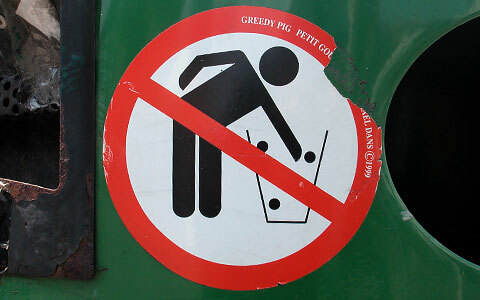 To use this waste is not allowed to all in need. Only those objects that are beyond any chance of marketing may be utilized by those who can't afford anything.